Wine is a talking drink. You start out slow and next thing you know, you’re several glasses down and the chat has taken you far from where you started. But, as we all know, words don’t always come easily at first, and with this simple truth in mind, we decided it was time to accept that “the weather” just wouldn’t cut it as conversation anymore. 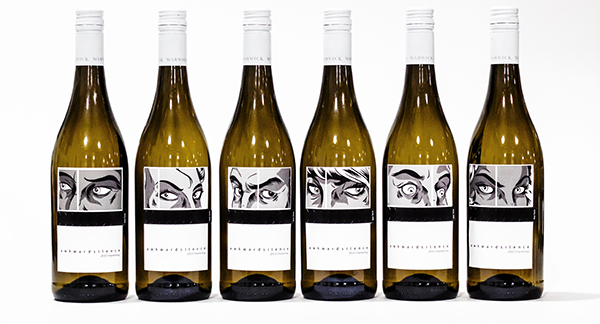 That’s how our limited-edition wine collection, “Awkward Silence”, came to life. Because what better way is there to overcome any amount of awkwardness than with a bottle of wine? Together with the Warwick Estate, whose brand story is about connecting with other people, we created the perfect wine for the conversationally challenged – a wine that came with a conversation of its very own. For a first date, an uncomfortable work dinner, or a braai at which you know no one, our wine would save you from awkward silences by providing curious questions to get people talking. Our creative team was well aware that the design and production of our wine label would be key in differentiating ours amongst a host of other wine labels. From the illustration of eyes staring at you, to the perforated strip that, when torn, revealed our unique conversation starters, we wanted our label to be interactive. “Wine has always been about holding conversations. Together with 34°, we envisaged a limited edition wine brand that served the same purpose as the wine in the bottle,” said Mike Ratcliffe, CEO of Warwick Wine. 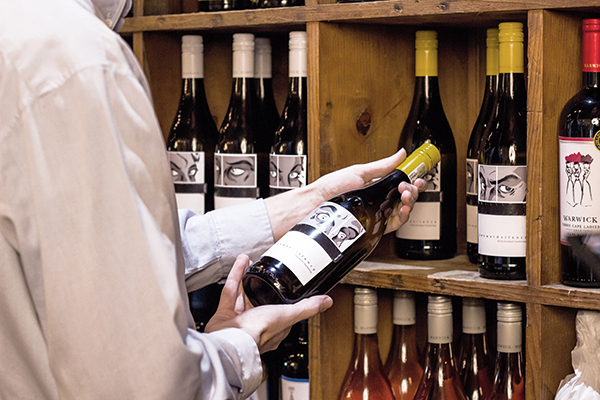 With a completely unique wine label, in a space where everyone is trying to innovate, our wine caught the eye of many at Warwick Wine Estate. 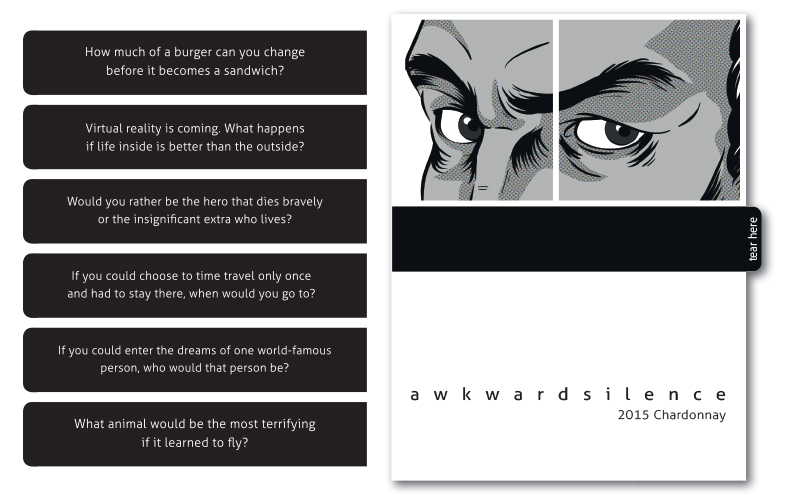 Numerous conversations were had and Awkward Silence made sure that uncomfortable moments were a thing of the past. About 34° 34° is an advertising agency that believes in creating bold, curious and effective work.